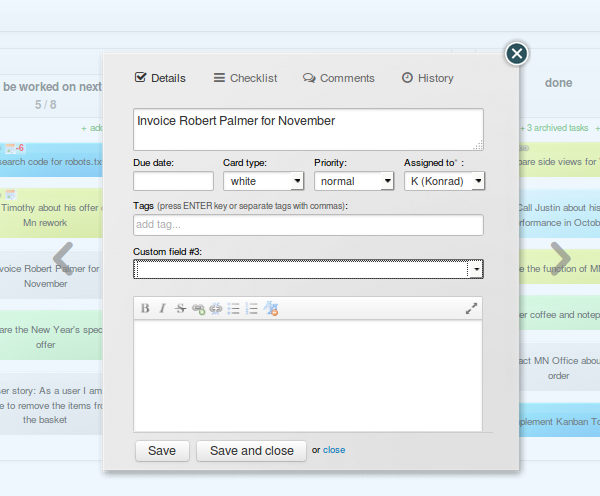 We are continuously working to make Kanban Tool even more user-friendly and we've now made it possible to change around the order in which the information fields appear on your Kanban card. 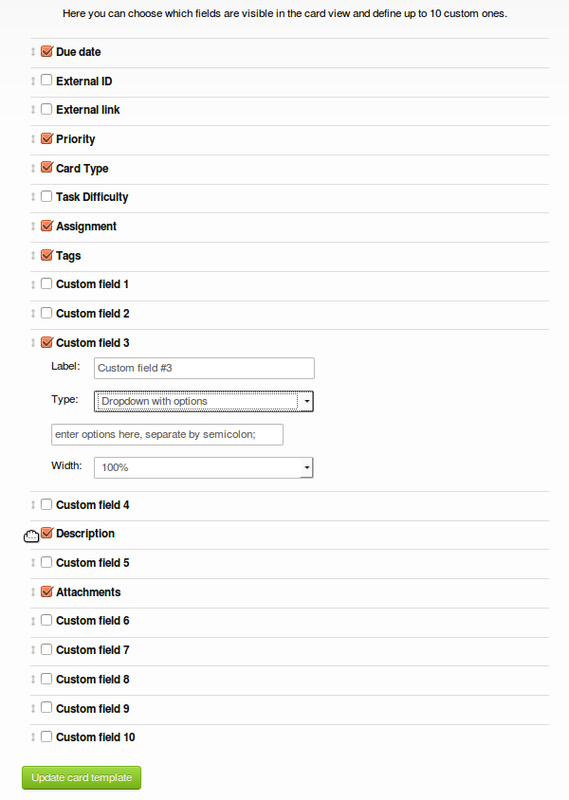 Now, just by going to Settings and Card Template, you can change the order of the fields. Simply drag and drop the fields in the places that you feel are most useful for any particular information field. To drag the fields please grab the arrows on the left side of the field. Always remember to save the changes you've made at the bottom of the window. Here is an example of a completely new card, tailored to your needs. 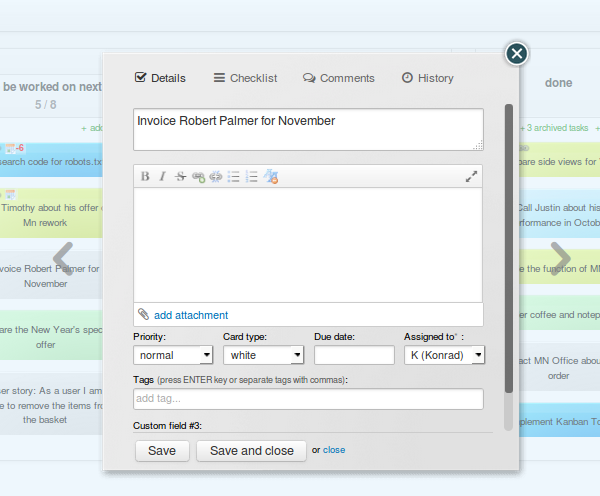 Enjoy this new option and stay tuned to always be up-to-date with all new Kanban Tool features!